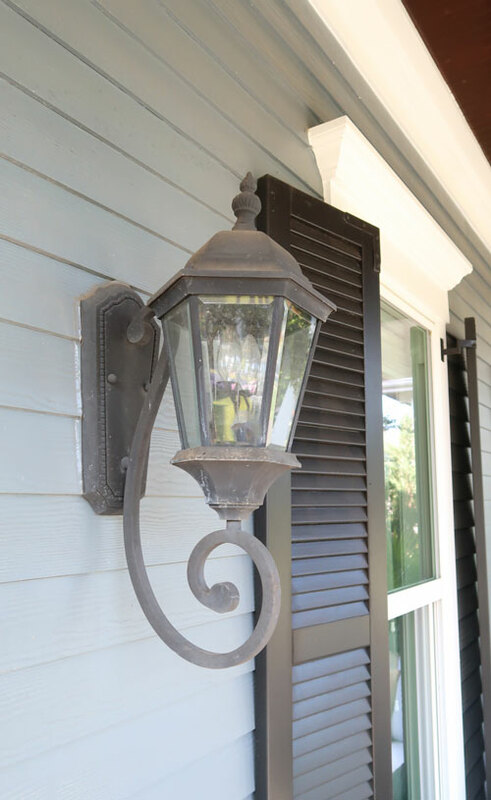 You are here: Home / DIY Projects / Replacing Outdoor Wall Sconces: What You Need to Know! 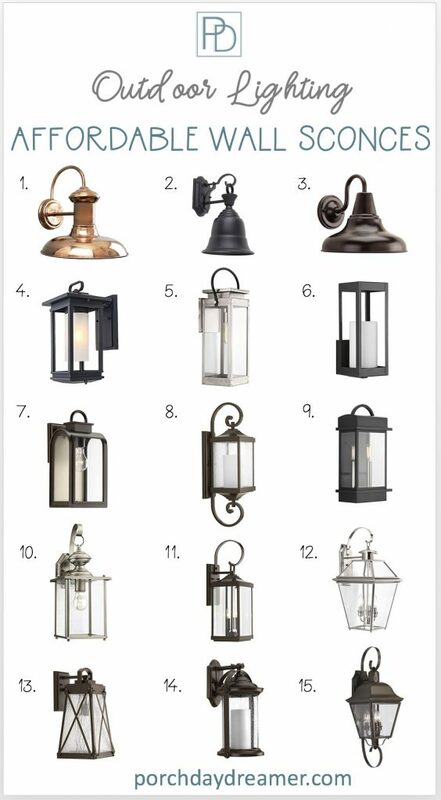 Thinking about updating or replacing your outdoor wall sconce lighting? 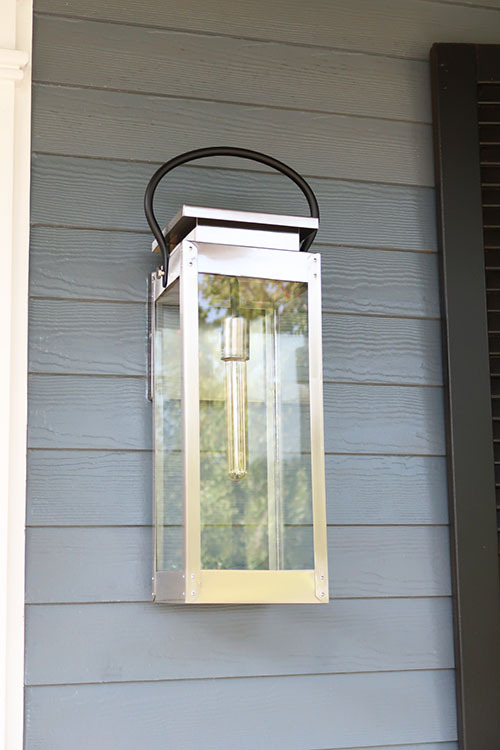 Before you buy a new exterior light fixture, there are some things you need to know! Spring is right around the corner and a perfect time for outdoor projects. Updating your outdoor lighting is a fairly inexpensive way to improve not only the safety of your home, but also the curb appeal! This past summer, I installed 5 outdoor wall sconces and learned a lot about the removal and light installation process. 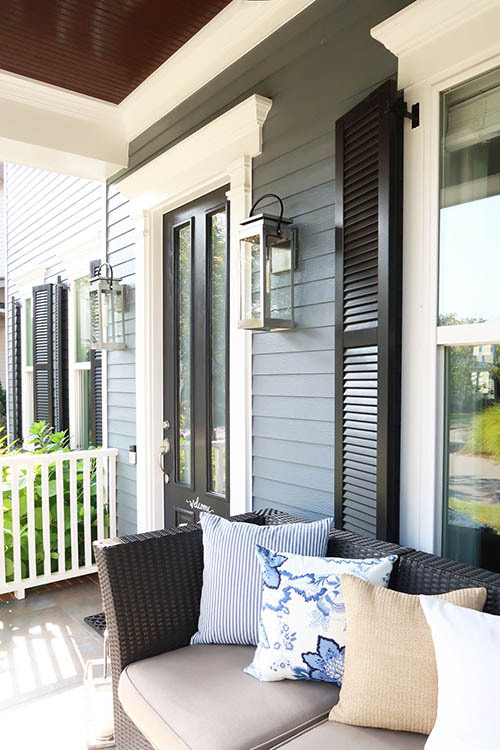 Before you buy, there are some important things to consider when changing outdoor wall sconces. One important piece is the removal of silicone caulk from your siding! The MOST important part of a wall sconce you need to be aware of is the backplate of the fixture. Why? Because when you pull it off the wall, silicone caulk will be left behind. In almost all instances, when exterior lighting is installed, the way it is sealed to the wall of the home is with silicone caulk. Silicone caulk is used because it is waterproof, has a strong adhesion to a variety of surfaces, and is virtually indestructible! Plus it’s clear and works with the finish and the color of the siding, without being obvious. My outdoor wall sconces are on either side of my two front doors (upper and lower porch), so I have 4. They have been installed for 8 years and needed to be replaced due to rust beginning to form and serious fading. Do you see how large the backplate is? Do you see all the silicone around the backplate of that large shield against the siding? The fixture (in my mind) was perfect due to the size and scale. It was going to be just as substantial of a light as the current sconces. Plus it had the coastal styling I had in my design plan for the porch. Guess what? I didn’t think about the backplate being HALF the size of the current fixture and the clear lantern style was not going to hide leftover silicone. 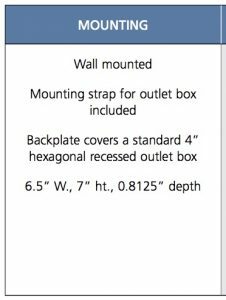 In order to find out the dimension of the backplate of the fixture I purchased, I had to download the specification sheet. Once you see if the backplate is close to the previous model you are replacing, you can rest easy the installation will be much easier. If you find it’s much smaller, you can always go back and try to search for something with a larger backplate. Or proceed ahead, using this tutorial! When removing silicone caulk, wood or fiber cement siding is going to be the most challenging surface because it is painted. If you didn’t know, silicone caulk is not paintable! Not at all! Trust me I tried EVERYTHING to try and remove the silicone, before realizing scraping was the only answer to removal. I spent money on Goo Gone Pro-Power. It claims to remove silicone caulk, but I can tell you from experience it didn’t even budge it! It is a great tool for removing sticky labels and adhesive however. 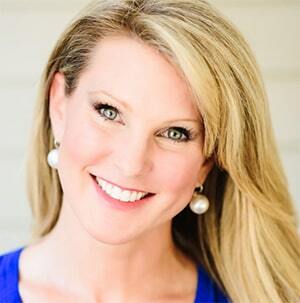 IMPORTANT: Make sure you have your exterior touch-up paint! You will need it. If you don’t have it, I’ll show you what it will look like to leave the silicone as is. BEFORE BEGINNING: Turn the electricity off at the circuit breaker that feeds the outdoor sconces. Using the exacto knife, cut into the silicone caulk as CLOSE to the siding as you possibly can! The closer the better. Work all the way around the backplate in a sawing motion. Remove any screws that are holding the backplate to the mounting bracket. Pull gently to remove the backplate from the siding. If you find it’s resisting, run your knife through the silicone to release it in those areas. Here is what you will be left with after removing the fixture. Scary right? Who ever installed my lights used a lot of silicone! With your fingers, see if you can peel off any of the strips of silicone. I didn’t have any luck with this, but it is always worth trying. Get out both scrapers! Start with the larger scraper. IF YOU DON’T HAVE TOUCH UP PAINT, STOP SCRAPING BEFORE YOU GET TO THE SIDING. This would also apply to VINYL siding, but most people who have vinyl have a separate piece attached to the siding. If you have brick, I’d say the same. Scrape off as much as you need to, but you won’t need to repaint so leaving a little behind won’t matter. I tried to get as close to the siding as I could without damaging it. It’s VERY hard not to scrape the paint. Much of the area where I did remove the paint is under the mounting plate. IF YOU HAVE TOUCH-UP PAINT, scrape off the silicone from the siding. It will requiring removing the paint down to the siding. This job is not fun and takes quite a lot of time, so get yourself some water before you get started – maybe even a snack! Apply even pressure, so you don’t dig a corner of the blade into the siding. Start with the areas you know will be hidden until you get the hang of it! The large chuck of silicone I pulled off with my fingers. The smaller scraper comes in handy in the areas between the boards. This is what it will look like, when you get finished. In this picture, I pulled through the wires and attached the mounting bracket that the fixture is going to be attached to. All it takes is 2 screws. You can see I tucked a piece of the dried silicone I pulled off from the previous installation, to push the bottom of the bracket forward and make the mounting bracket flush with the top piece of siding. Wipe the siding clean, in preparation for painting. Make sure it is free of all dust, dirt, silicone particles and debris. If you don’t have touch-up paint, you now can install the light! The first light I installed, I left with the silicone visible and didn’t touch up with paint. This is what I left on the siding. The fixture did cover much of the leftover silicone. On the lower level, I aggressively removed the silicone to paint since those sconces are the most visible. Touch up the paint! I used a regular paint brush and my leftover paint. Sorry, I don’t have pictures of this stage! Let the paint dry for an hour or so before attaching the light fixture to the plate. While the paint is drying, clean up all of those little pieces of silicone that have scattered about! Following the manufacturer’s instructions, assemble the fixture if needed. All I had to do is attached the handle at the top and add the glass panes. Attach the black wires, white wires and grounding wires together. Attach the grounding wire to the green screw on the mounting bracket. Using the screws provided, attached the fixture to the mounting bracket. Install a light bulb and flip on the circuit breaker to test the light is working! Use clear silicone caulk in a caulk gun to caulk between the wall and the fixture. Remember to cut the tip off of the caulk tube and pierce it with the tool from the caulk gun! PRO tip: lay the bead of caulk, spray with a bit of Windex, then use your finger to tool the caulk flat. The excess caulk will pull off onto your finger and away from the wall and fixture. Have ROLL of paper towels handy to wipe off the excess caulk and Windex. Scraping down to the siding gave me the opportunity to paint and it looks great! 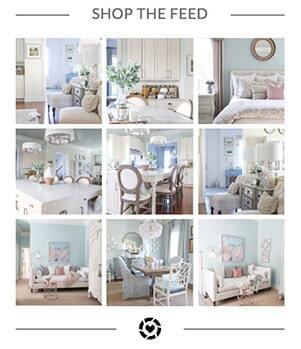 I love the new cottage or coastal look they offer. If you like my Edison bulbs, you can buy them here. 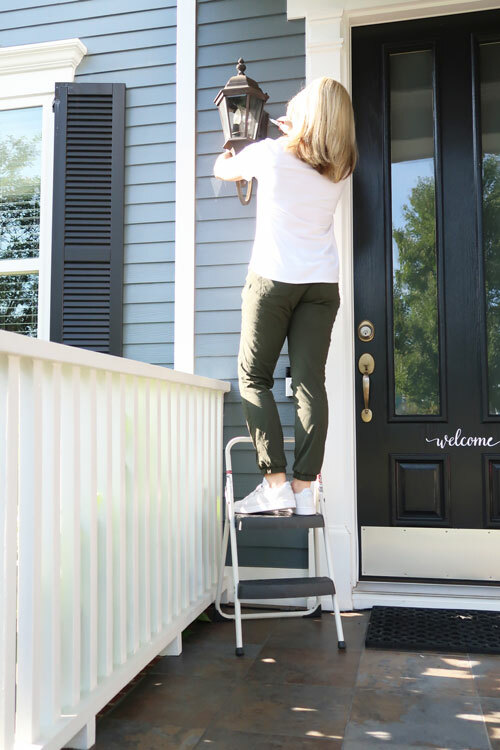 For this exterior lighting update, I turned it into an entire curb appeal makeover. 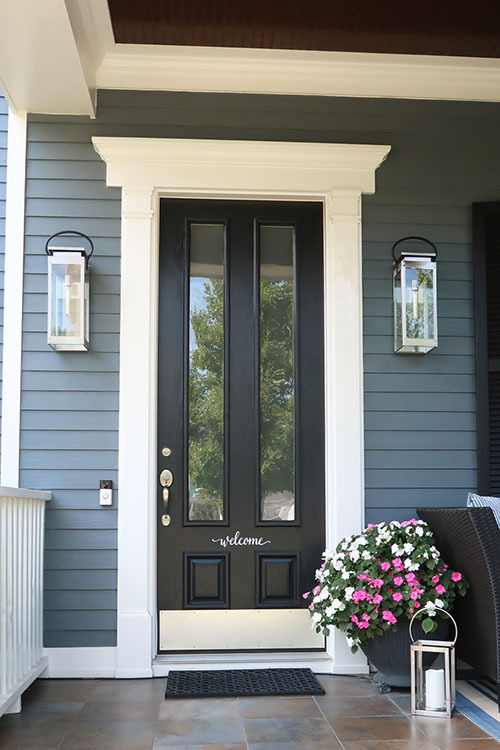 Read all about 7 Easy Ways to Create Maximum Curb Appeal! Now you are armed with all is involved in choosing and even installing exterior sconces. Here are some beautiful options of wall sconces for every style and budget. They are all reasonably priced and when they go over $200 it’s in the larger sizes. All Outdoor Wall Sconce options are on AMAZON and more options can be found by clicking this link!